Each year, A2Ethics hosts the Michigan High School Ethics Bowl in partnership with the University of Michigan Dept. 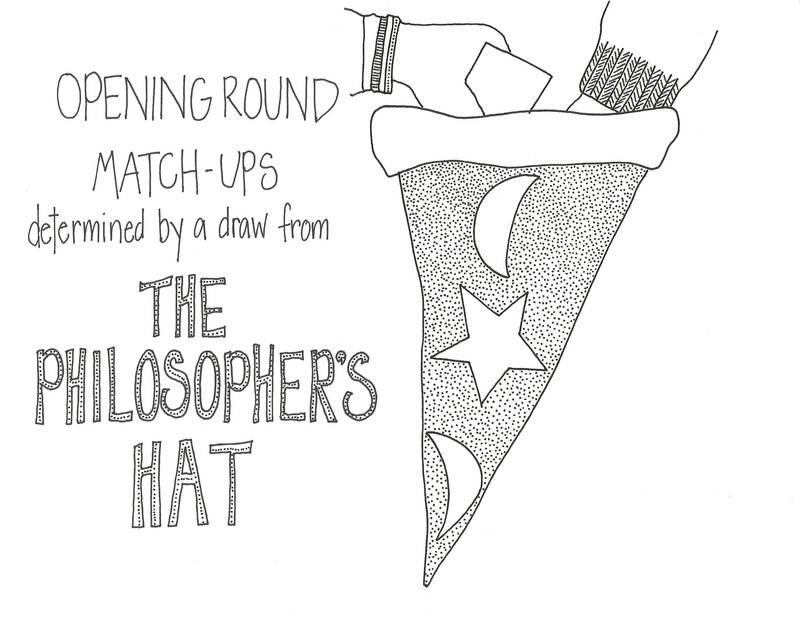 of Philosophy outreach program and the schools in the Michigan Bowl League. And each year, students new to the Bowl...and even seasoned veterans...have questions about how the Bowl Day competition actually works. Students (that's you!) are also interested in learning about the resources Bowl Day volunteers, that is the moderators, scorekeepers and judges, use in the actual competition. Here are some resources that will help you know what to expect. What does Bowl Day look like? 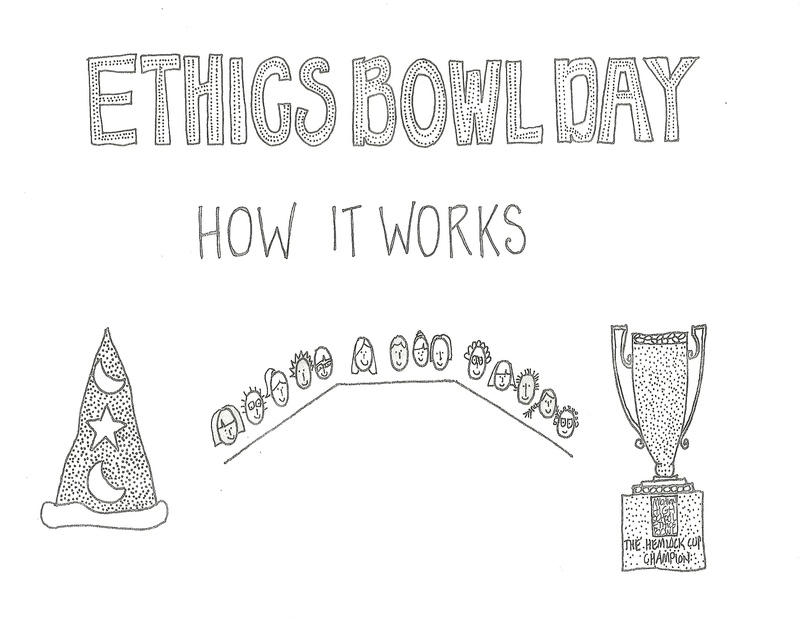 Here is a sketch of what happens on Bowl Day. Who are the Bowl Day judges? Judges come from many professions and specialties. Several work in ethics fields. And in what we like to call the ethics economy: earning their livelihoods in ethics-related jobs, while contributing their talents, new ideas and skills to making Michigan a better place. Judges include philosophy professors and students, physicians and researchers in bioethics, engineers, social workers, judges, educators, scientists, law enforcement agents, nonprofit directors, business managers, public health care specialists, artists, and attorneys. Some judges are current or former participants in their respective intercollegiate Ethics Bowls in Michigan. Others are former philosophy majors and want to remember what it was like to really think together. Among the institutions represented in previous Bowls: the University of Michigan Center for Bioethics and Social Sciences in Medicine, the University of Michigan Center for Complex Systems, the Dispute Resolution Center, and 11 Michigan universities and colleges. The common feature all of them share: an interest and passion for ethics. Before each round the judges will tell you what they do when they are not judging Ethics Bowl, so you can get an idea of how vast ethicsworld really is. 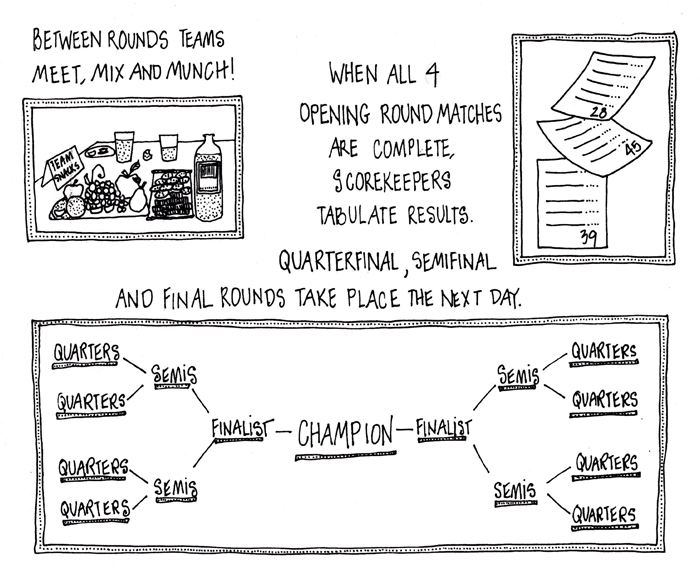 And just so you know, for each round, your team will meet 3 judges. What do the judges take into account? 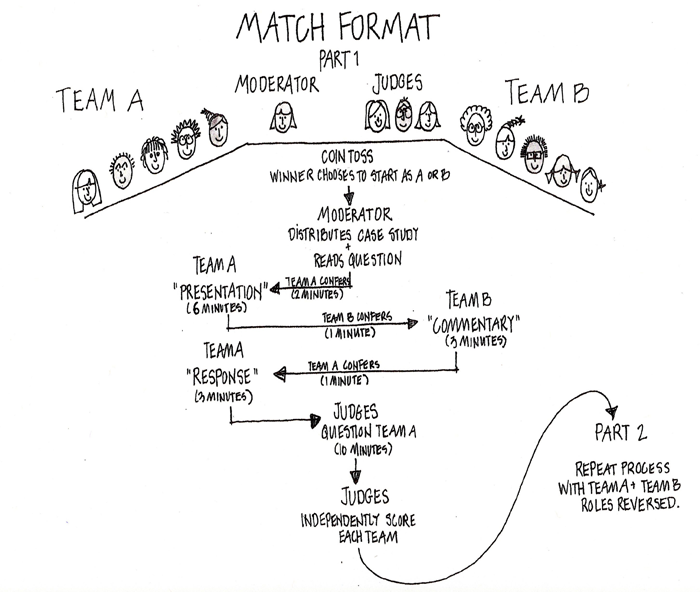 What are the factors they consider and the criteria they use to evaluate team presentations? clearly and systematically addresses the moderator's question? clearly identifies and thoroughly discusses the central moral dimensions of the case? indicates both awareness and thoughtful consideration of different viewpoints, including especially those that would loom large in the reasoning of individuals who disagree with your position? In addition, the judges will be taking under consideration the commentary of the other team about the initial presentation as well as the responses by the presenting team to this commentary. Equally important, the judges ASK questions. It is their favorite part. And they will be scoring your team's responses to their questions, taking into account whether you directly responded to what they have asked. So listen carefully. Finally, they will be giving your team a score for Respectful Dialogue. This is a signal that you are not on your school's debate team in this competition. Ethics Bowl is a collaborative discussion among the teams and the judges whose main aim is to think through difficult ethical issues. Together. To see the actual judging criteria sheet that each judge receives, click here. Critical aside before we leave this topic: The moderator's question posed to you on Bowl Day will NOT be any one of the study questions currently on the case studies. To see the 2019 Bowl case studies, click here. What does the judge score sheet look like? The actual scoresheet judges use in the Michigan Bowl can be found here. It breaks the scoring down by each team's presentations, and includes categories on clarity; inclusion of moral themes and different viewpoints; and engagement with the other team's views. What is a round win in the Bowl? And how do teams move on? Does the winner of the Michigan Bowl go to the National Bowl? The Bowl includes 4 opening rounds. All teams participate in these rounds on Day 1 of the Bowl. The winning team for a given round is the one with the most votes from the judges...which means 3 to 0 or 2 to 1. And yes, it is possible to have a tie. Ties become important when all the scores for the given day come in. And there are rules used by the scorekeepers to determine how to proceed. The immediate point is this: the winner gets the most votes from the judges in a given round. And the team with the most votes from the judges for all rounds moves on to Day 2 of the Bowl. Day 2 of the Bowl includes the quarterfinals (8 teams); the semifinals (4 teams) and the finals or championship round (2 teams). Again, the winner of each receives the most votes from the judges in a given round. The winner of the final is...the year's Michigan Champion and takes the trophy--The Hemlock Cup. And yes--the school winning the state championship is eligible and has the honor of representing Michigan in the National Bowl. The National Bowl is held annually in April at the University of North Carolina in Chapel Hill. Have you ever been to Chapel Hill in the spring? It is the best time to go. "Some advice that I would give to students new to the bowl is just to enjoy yourself. The bowl is meant to be a meeting of the minds to exchange a commentary on common issues we are all interested in. Don't be afraid to put yourself out there and meet new people at the bowl; that's what makes it fun, interesting, and enlightening." "Don't approach the ethics bowl as a "war" or "debate" of viewpoints. It is a dance of ideas. I feel the best way to win is to be the group who can lead the dance. Viewpoints are not isolated, they are all connected, and being able to maneuver through them will lead to the greatest success." "Ethics intrigues me as it aims at prescribing instead of describing actions, and underlies numerous subjects like law, politics, and economics. Exercising my own intellectual capacity and moral faculty to deliberate between virtue and vice and prescribe an optimal course of action is always exhilarating....Ethics Bowl has led me to fall down the rabbit hole and awaken my inner philosopher. Needless to say, I cannot be more grateful."